Spring has injected energy into the market, with open homes busy across many parts of New Zealand. Despite this pick-up in activity, supply still remains low which is keeping values at or near their current levels. First home buyers continue to be a major force across many parts of New Zealand, particularly in the more affordable parts of the Wellington and Christchurch regions. At the same time, New Zealand’s high-value areas - those containing properties with an average value above one million - are generally seeing a slowdown in the rate of growth as affordability constraints take effect. 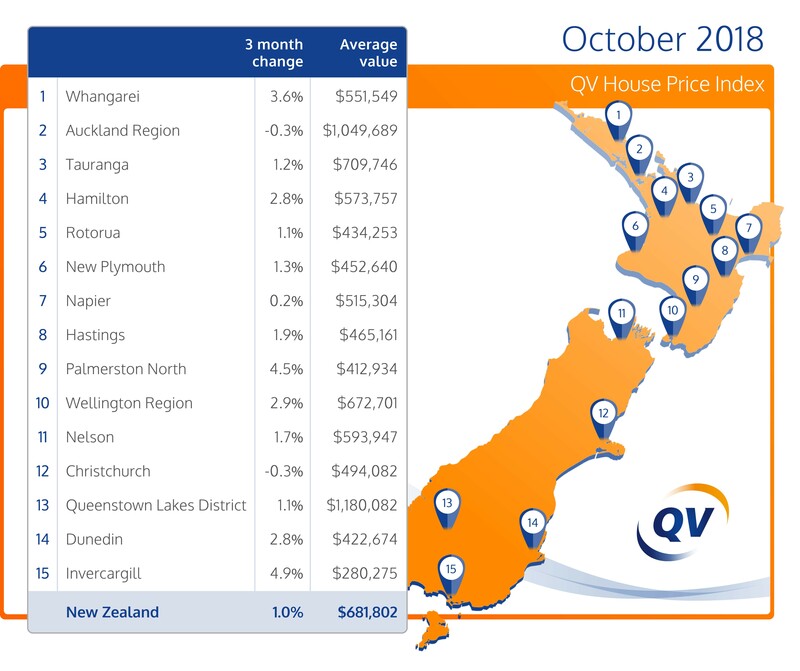 The latest QV House Price Index shows nationwide residential property values have increased steadily over the past year by 5.4% and by 1.0% in the three months to October. The nationwide average value is now $681,802. Meanwhile, residential property value growth across the Auckland Region increased by 1.1% year on year although dropped by 0.3% over the past quarter. The average value for the Auckland Region is now $1,049,689. Value growth remains slow across Auckland's suburbs. North Shore values rose 1.4% in the year to October although they dropped 0.5% over the past three months. The average value there is now $1,217,762. The former Auckland City Council central suburbs rose 1.2% year on year and were 0.6% down over the past three months and the average value there is now $1,238,448. Waitakere values increased by 1.2% year on year and by 0.5% over the past three months. Manukau values increased by 1.1% year on year and by 0.4% over the past three months; Papakura values rose 2.4% year on year but dropped by 0.6% over the last quarter and the average value there is now $700,919; Franklin values increased 0.8% year on year and Rodney values were up 0.8% year on year. Wellington City values increased 9.6% year on year and by 3.9% over the past three months and the average value there is now $809,739. Meanwhile, values in Upper Hutt rose 6.2% year on year and 0.9% over the past three months; Lower Hutt rose 3.6% year on year and 0.3% over the past quarter; Porirua rose 8.3% year on year and 2.4% over the past quarter. Finally, the Kapiti Coast rose 7.1% year on year and 0.6% over the past three months. Hamilton City home values rose 2.8% over the past three months and values increased 5.7% in the year to October. The average value in Hamilton is now $573,757. Tauranga home values rose 3.3% year on year and by 1.2% over the past three months. 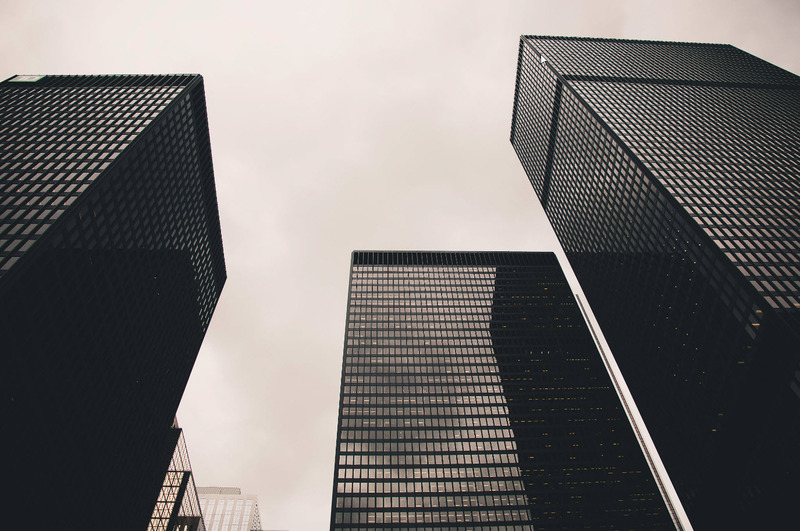 The average value in the city is $709,746. The Western Bay of Plenty market rose 0.9% year on year and 0.4% over the past three months. The average value in the district is now $633,158. It’s a continuation of recent trends for Christchurch City, with values either holding or dropping slightly. Values are slightly up year on year although they decreased by 0.3% over the past three months. The average value in the city is now $494,082. Values in Dunedin continue their upward trend having increased 10.5% in the year to October and 2.8% over the past three months. The average value in the city is $422,674. Nelson residential property values rose 7.7% in the year to October and by 1.7% over the past quarter. The average value in the city is now $593,947. Meanwhile, values in the Tasman District have also continued to rise, up 7.2% year on year and 1.0% over the past three months. The average value in the Tasman district is now $586,219. Napier values rose 10.3% year on year and by 0.2% over the past three months. The average value in the city is now $515,304. Hastings values are also continuing to rise up 6.6% year on year and 1.9% over the past three months. The average value there is now $465,161. The Central Hawkes Bay has also seen values rise 19.7% year on year although they did drop by 5.4% over the past three months and the average value there is now $340,811. In the North Island, Kawerau, South Waikato and Rangitikei lead the way in quarterly growth, with value growth of 18.7%, 17.9% and 11.2% respectively. These same regions also experienced strong annual growth, as well as the Central Hawkes Bay, Whanganui and Tararua regions. In the South Island, Clutha, Westland and Invercargill regions lead the way in quarterly growth, with value growth of 7.1%, 5.4% and 4.9% respectively. Invercargill lead the way in annual growth, up 13.1%.